1. Turn the laptop upside down. Remove the two screws that secure the keyboard to the computer. 2. Turn the computer right-side up with the front toward you. Open the display and stand the computer on its right side. 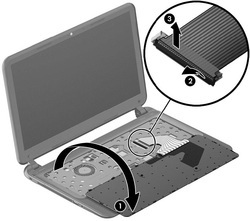 Insert a thin tool through the keyboard access hole. 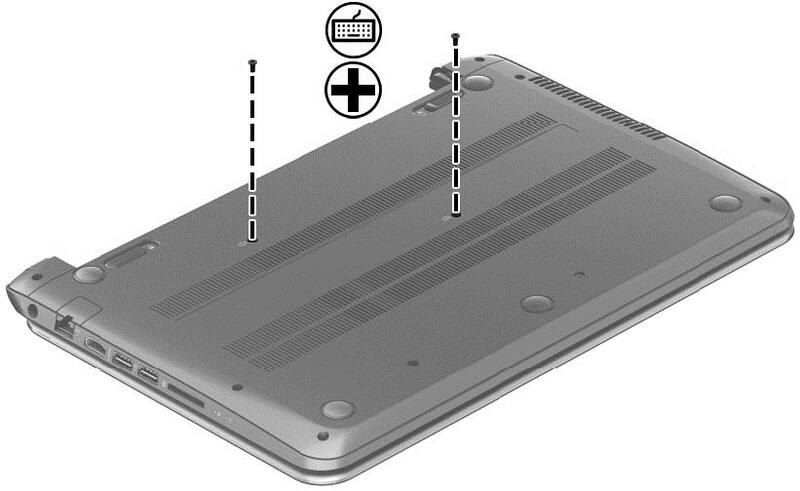 (The keyboard icon indicates the keyboard access hole.) 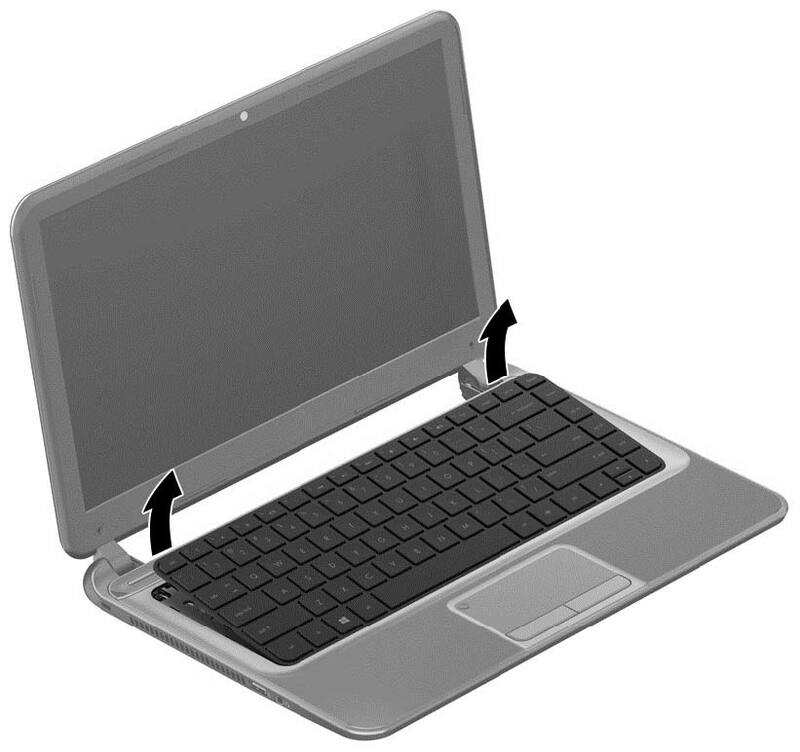 Push firmly on the bottom of the keyboard until it disengages from the computer. 3. Turn the computer right-side up with the front toward you and open the display. 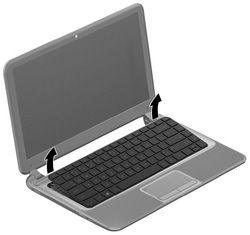 Gently slide your finger along the top edge of the keyboard to release the keyboard clips. Lift up on the rear of the keyboard. 5. 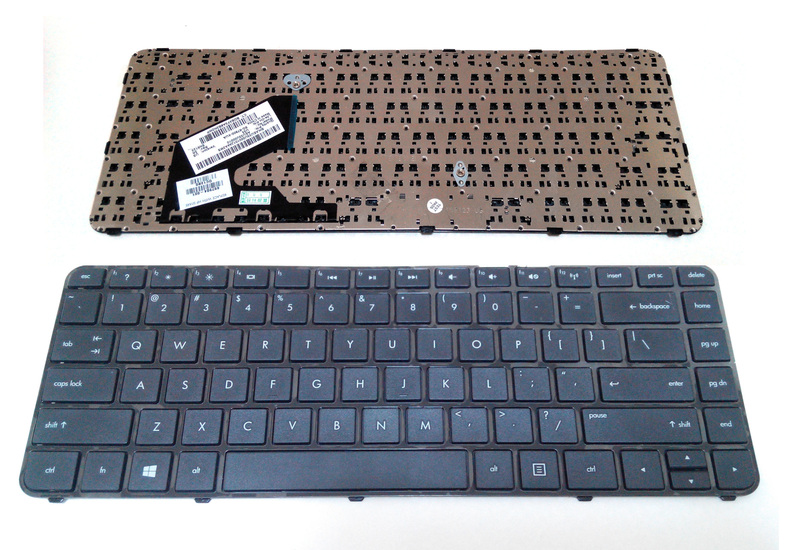 Reverse the procedure to install the new keyboard.